Karnataka is located in southern part of India. Bangalore is the capital of Karnataka and hub for information technology (IT) in India which is considered a rapid economic as well as technological development in the entire India. Karnataka offer exclusive education to the students with largest number of certified colleges. Institutes with national importance and research centers of excellence are located in this state. Karnataka is the preferred location for study by number of students. Colleges in Karnataka offer courses in under graduate, post graduate, doctoral and integrated programs in various fields. Apart from regular graduate or post graduate courses it also engages in imparting continuing education and short term programs for experts. The bachelor degree courses provided by the colleges in Karnataka are B.Architecture, Bachelor of dental science (BDS), B.H M.S (homeopathy), LL.B (Law) and PG Diploma in Business Management and others. Engineering Courses offered by the colleges in Karnataka are B.E /B.tech in Electrical Engineering, Mechanical Engineering, Civil engineering, Electronic engineering, computer science and Environmental Engineering. Professional courses are also offered by the colleges in Karantaka such as Dental Sciences, Hotel management, Polytechnic and veterinary science. 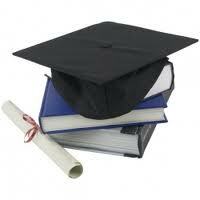 Distance learning courses are offered by the Karnataka state Open University. Most of the Colleges in Karnataka provides campus facility to the students and also have active placement cells which help student in getting best career. "Following is the list of colleges in Karnataka. All Colleges in Karnataka are divided into region wise. To view colleges in a particular region kindly select the region from the drop down list. The number of colleges in any particular region is mentioned in front of the link. If you come across any college in Karnataka which is not found from our list below, please do let us know by using add in list which is default in our website�.